Adventure racing is a competition combining several sports, such as navigation, trekking, mountain biking, paddling and climbing, all of which come with increased lengths are challenging for one’s physical resilience, feature that make them similar to an adventure, hence the name. However, an Adventure Race may include other disciplines besides those previously mentioned. You may think it sounds a bit like triathlon, but, in fact, there’s a major difference between the two. Participants in a triathlon use a marked course to arrive at the checkpoints, whereas Adventure Race competitors need to find their way to the finish line using a map or certain instructions. As such, you could say this sport reaches beyond the usual limits of an adventure sport, as it demands that you participate with all of you: brain, body and spirit. However, this particular aspect makes it an attractive sport. You may trace the history of Adventure Race back to 1998, in UK when Phil Humphreys created an event that lasted for two days and gained increased popularity in the following years. 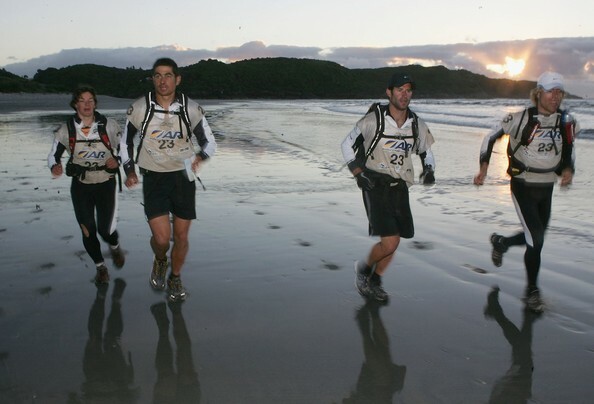 The competition became so popular that in 2007 was organized the first World Adventure Race Championship, and since then it that changed location every year. Typically, races can last from 4 hours to several days and are intended for teams. As such, very few events accept solo players, but generally receive teams of 2 to 4 members, based on gender and, sometimes size. The team members are supposed to stay together during all races and are not allowed to split. There are four major race categories: sprint (lasting from 2 to 6 hours), 12 hours, 24 hours (18 to 30 hours) and expedition (3 days to 2 weeks). Your gear should be adapted to the events included in that competition. The basic gear you need is a mountain bike (as biking is present in most races), a protection helmet, and a repair kit for the bike. For the running race you’ll need appropriate shoes and protection for knees and elbows, for the paddling section a paddle (you won’t need a boat, thanks God!) and climbing equipment such as harnesses and ropes. However, many races will put at the participant’s disposal a way through which they can rent this equipment or they’ll offer part of it in exchange for a fee. In any case, you may want to check the competition’s web page for regulations, where you can find information regarding other mandatory gear requirements. As mentioned, some competitions include particular events that may require that you bring other items with you. For example, if you happen to go into an urban race that takes place in the city, you may be asked to play football, mini-golf and who knows what else. There is no strict requirement that you need to fulfill to enter a race, but that also depends on the level of that competition. Of course you need to be skilled in all disciplines introduced in that specific event and to be in good physical shape. Imagine that some of these adventures take place in remote places and on vicious terrain, so you need to be able to keep up with your teammates.